Saturday is round-up time. Little Miss Chatty that I am I had a great time on tumblr this week because there was lots of opportunity for expressing the opinion. And I was not the only one – there were a few posts that got a number of comments. No wonder – we are all looking forward to finding out more about “Chop”. My copy of the book arrived yesterday, and I flew through the first chapter immediately. Very promising so far! 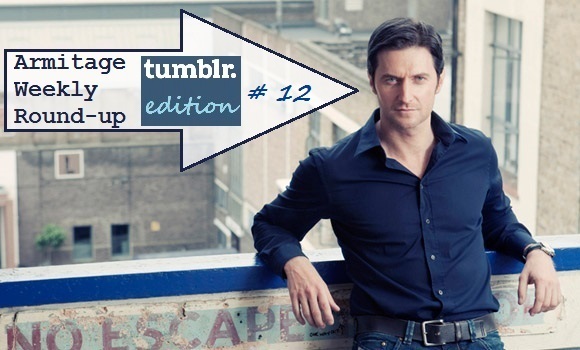 Anyway, before I ramble on, here is our Armitage Weekly Round-up – tumblr edition #12! A Richard Armitage Confession that for me raises a lot of resistance – what do you think??? Richardarmitageforever is courting controversy 😉 with her post pointing out some details that men rather like to keep hidden… Linking here to a later point in the discussion… What do you think? kkwings has a little gif of the group crowd shot on the last day of shooting The Hobbit that singles out RA – oh, we love our man to laugh, don’t we? Confessions re Tumblr. To be discussed? That’s it – hope you found some fun and interesting bits in this! The one I find controversial is #2.. That’s a large burden for one person to carry, even if only in fantasy. I haven’t read negative statements about Richard’s new role. I heard about them, but haven’t come across any. Seems to me everyone is as happy as clams at high tide. This sounds crazy, but I didn’t know it was OK to reblog and comment on Confessions. And yes Guylty, I did notice you were Chatty Cathy on tumblr this week. The AC close up – I think he has switched from briefs to boxers. Thanks for stockpiling the good stuff for us, Guylty. I too would like a Thornton mini Lego figure to sit next to Thorin on my shelf, please. I read with interest all the comments about RA’s latest role choice- for myself, I couldn’t be more pleased for him. Little Lego Thornton is just beautiful… Really well done, and it was interesting to see the two different stages in its design process. I very much like the role-choice, too. Confessions really made me sit up this week. (When I wasn’t doped up enough, that is) I’m wondering where all that came from. Great line up again. Thanks for sticking with this. So enjoyable. I was wondering whether the confessions had all piled up from one commentator only. There was interesting stuff in there, that merited a reply. I had fun with it. And it’s a pleasure compiling the round-up – I have gotten quite used to it by now. Oh, sure, blame me. 😉 Gonna have to go back and read the confessions now. Little Thornton Lego is fantastic and I’d like so much to have it… I’m sure he would find himself comfortable with his cousins Thorin AUJ and Thorin DoS. 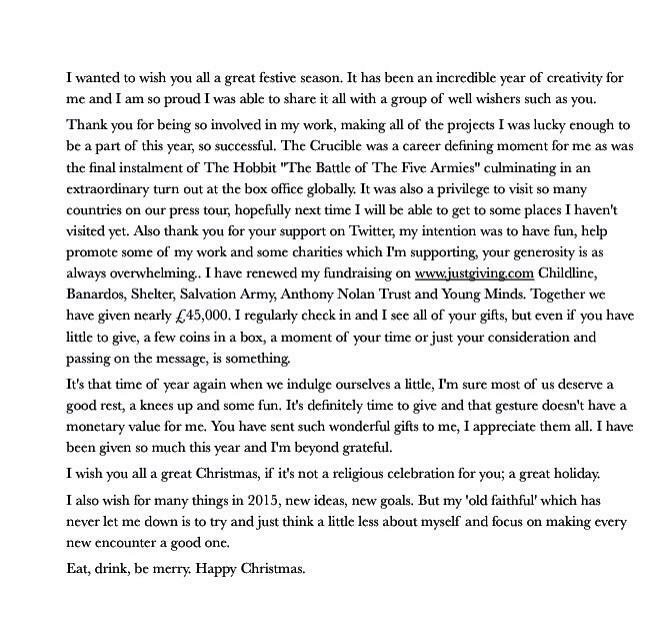 I still can’t watch his thank you speech for AC for several reasons. Likewise, Micra – I haven’t watched the thank you speech or the part of the interview where he looks at the fan submissions, either. Thanks Guylty! You’re the best.